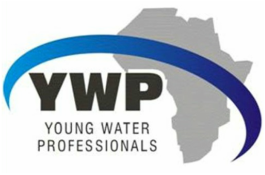 On Thursday 17 September 2015, the Eastern Cape Young Water Professionals (Port Elizabeth node) hosted a Strategic Skills Workshop and the official launch of the YWP-NMMU working committee. The event was hosted at the Nelson Mandela Metropolitan University (NMMU), Senate Chambers at the Summerstrand South Campus. The idea behind the workshop was to create awareness to Young Water Professionals (YWPs) on the “Strategic Skills” that, aside to tertiary qualifications, are required for successful personal and professional development. While not all the skills required could be identified in brief, the aim was to challenge YWPs to cultivate the idea of “Thinking outside the box”. All participants were provided with a booklet outlining the programme and the ideas behind the workshop. The booklet also included useful guidelines under each theme, as well as personal accounts from a number of YWPs, exploring their views on the skills encompassing the three overarching themes. The main aim of the booklet is to provide the participants with a resource they can use after the workshop. Participants are encouraged to make their own connections with each theme and to use the booklet as a toolbox with which to engage with on their path of personal and professional development. The workshop was informative and interactive. Each overarching theme was individually presented by different speakers, who presented on the importance and need of “Strategic Skills” for successful personal and professional development.  The Science of Money : Where is your money and what is it doing? The presentation was very enlightening and was met with overwhelming enthusiasm to learn and know more on managing personal finance. To Read more about this presentation CLICK HERE. The second speaker, Mr Mike Spearpoint, who is the chairman of Zwartkops Conservancy, spoke to the theme of self-promotion and the power of social networks. To Read more about this presentation ​CLICK HERE. The presentation was enjoyable and motivational. The audience were left to reflect on their self-perceptions and the thinking needed to change these perceptions. To Read more about this presentation​ CLICK HERE. A total number of 48 water professionals and students from Port Elizabeth, Bhisho and East London attended the workshop. The workshop coincided with the launch of the YWP-NMMU working committee and interest was met from 11 participants. Following the workshop, the participants were offered refreshments and the opportunity to interact with the guest presenters and other participants at the networking session. Notwithstanding the opportunity for networking, the participants were also able to interact with financial advisors from Sanlam, which was one of the key sponsors and partners for the event. Outreach Programme: Initiatives to Enhance the Capacity, Visibility and Participation of YWP in Eastern Cape Province. The knowledge gap between experience professionals and their young counterparts seems to be widening so that as the experience professionals and industry practitioners in the water sector reach retirement age and eventually retire, their knowledge and experiences are often not passed on to the young professionals who eventually step into their shoes. On the one hand, the outcome of this lack of continuity has been a young workforce that is inadequately prepared to deal with the water challenges in our country. On the other hand, a young workforce with innovative and creative ideas but with no information on the appropriate channels to implement their ideas due to lack of well- coordinated and organised mentorship programmes within the water sector. In addition, young professionals particularly those still within the university systems, and in their first few years of employment find it difficult to actively and meaningfully participate in the water sector. Leadership, technical, entrepreneurial and high level research skills are needed by young talented professionals to improve their visibility and participate actively in the water sector. Furthermore, the young professionals themselves needed to be bold enough to mentor one another (peer to peer mentorship) and seek innovative ways of implementing their ideas. To achieve this, there is a need for an initiative that brings young talented professionals together to meet regularly with a view to improving their leadership, technical, entrepreneurial and research skill sets through various activities including workshops, training, speed dating, etc. Furthermore, to reverse the trajectory of deteriorating water resources in South Africa, there is an urgent need for a well-coordinated and organised grass-root driven initiative that focuses on engaging school learners on water education, water careers, water ethics, water protection, conservation and water use efficiency. While some initiatives aims at high school education already exist e.g. WESSA eco-schools, little or none of these initiatives are led and champions by the Youth. The theme of the 2015 World Water Week in Stockholm is ‘Water for Development’,2015 is the target year for achieving the Millennium Development Goals (MDGs). Although considerable progress has been made, the targets to achieve improved access to key basic services during the first 15 years of this century will not be fully reached. The challenge remains for the world community in 2015, to formulate, commit to and to urgently pursue a new set of Sustainable Development Goals (SDGs). Eastern Cape is known as a province with water issues particularly Grahamstown. The need to invest in an Eastern Cape-based workforce to efficiently tackle these challenges is imperative not only for the province, but for the secure future of the country's water resources. 2 local schools will visit the wastewater treatment plant. There will be two guest speakers followed by a cross faculty presentation- where post graduates will be presenting their work. Water research exhibition, there will be stands and posters. This will be followed by 3 minute presentations. Come and join us for an exciting event, and get the opportunity to learn about the various research topics people are working on that are related to water! We look forward to seeing you there! It is important for graduates to be strategic with their time spent at University as there is a vast array of skills that could be learnt outside of the confines of a qualification. “Toolbox Talks” aims to identify these skills and encourage the initiative for individuals to take ownership of developing them outside of the lecture theater. Skills are identified under three overarching themes, namely business savvy, self promotion and self-branding. The themes have associated skills or “tools” that need to be developed, and these usually require graduates to think "outside the box" of their academic qualification. . We have organized a collection of speakers under the three pillars of leadership, that being Self Promotion, Self Branding and Business Savvy, to highlight the specific skills necessary for young graduates to bridge the gap between University and the working world. The importance of connectivity within and between ecosystems has come to the fore in ecological research over the past two decades. This presentation will highlight the key position of estuaries in providing the link between marine and freshwater systems, and also the importance of unimpeded river flow in driving that connectivity. Estuarine examples from KwaZulu-Natal and the Eastern Cape will be given in order to demonstrate the vital role of freshwater in moderating estuarine salinities and facilitating marine fish and invertebrate recruitment and emigration mechanisms within our coastal zone. Prof Alan K Whitfield is a chief scientist at the South African Institute for Aquatic Biodiversity (SAIAB) in Grahamstown and an NRF A-Rated Scientist. He is a leading estuarine ecologist with interest in the biology and ecology of fish. More detailed information to follow. On Friday the 29th of May 2015 the Eastern Cape Young Water Professionals’ Port Elizabeth node hosted a Water Seminar at the Nelson Mandela Metropolitan University (NMMU). The seminar had two parts with the first part being presented by Mr David Raymer and the second by Mr Johan Barnard. Mr David Raymer, a well-respected Water Engineer who has in depth knowledge of Nelson Mandela Bay Municipality’s (NMBM) water supply, presented on the Water Resources of NMBM. The first presentation provided an excellent opportunity for YWPs to learn and understand how water, a scarce resource, is managed and utilized by a city. To read more about this presentation ﻿CLICK HIRE﻿. Mr Johan Barnard, a scientist with experience in water and wastewater treatment, presented on the Alternative water sources. The presentation focused on alternative water sources and on new research into algal bio-filters. In a way, Mr Barnard’s presentation contrasted with the first presentation as the YWPs learnt about alternative water sources. The presentation was a great eye opener to YWPs; it exposed them to a number of unconventional water resources and promising cutting edge research into water recovery technologies. To read more about this presentation CLICK HERE. A total number of 53 water professionals and students from Port Elizabeth, and surrounding towns of Grahamstown and East London attended the seminar. After the seminar, the water professionals and the presenters met outside the venue for a network session. This was an opportunity for the participants and presenters to mingle and interact with one another, share knowledge, experience and ideas relevant to the water sector. The Eastern Cape Young Water Professionals (YWP-EC) celebrated World Water Day, 23 March 2015, with a multifaceted skills development event given the acknowledgement that achieving a sustainable water paradigm (the 2015 World Water Day theme) requires competent and knowledgeable organisations underpinned by adequate and competent human capital. As a contribution towards meeting the skills requirement of the South African water sector, the Eastern Cape YWP committee organised a one day action packed event including a panel discussion, leadership workshop and a technical tour for members of the young water professionals in the province. Opening the event, which had 45 professionals in attendance, Dr Nelson Odume Chairperson of the YWP-EC argued that this year’s World Water Day provides opportunity for young professionals to reflect on past and current developmental trajectories and to re-imagine a better, secure and sustainable alternative developmental path(s). A multi-stakeholder panel discussion on innovation, challenges and opportunities in the water sector exposed YWPs to the innovative research being undertaken in the water sector. Professor Denis Hughes, Director of the Institute for Water Research at Rhodes University, argued that a major challenge in securing and sustaining competent young professionals for the South African water sector is the low numbers of established academics capable of providing academic leadership and supervising students in the water sector. He lamented the dwindling numbers of established academics in the SA water sector. The other panelist Dr Patsy Scherman, Director at Scherman Colloty and Associates, tackled the topic from a private business consulting perspective. While highlighting that enormous opportunities abound in the SA water sector for consulting, she outlined critical factors to consider before going into the consulting environment. YWPs where excited to learn about the do’s and the don’ts of setting up a private consulting business. The final panelist Ms Leticia Greyling, a lecturer at the Rhodes Business School, shared perspectives on the role of water in corporate South Africa. Companies in South Africa are beginning to embrace the idea of integrated reporting in which water features prominently. The role of leadership and ethics as a way of working towards a common understanding and shared vision was explored in a leadership workshop facilitated by Professor Pedro Tabensky of the Allen Gray Leadership Ethics Centre. The workshop alerted YWPs to subtle ethical attributes that we often overlooked in our everyday lives. He challenged YWPs to reflect continuously on the consequences of their actions not just to themselves, but to other people and the world around them. The day ended off with a technical tour where YWPs considered where our water comes from and how it gets to the tap? This question was tacked in a fun-filled atmosphere during the visit to the Howieson’s Poort Dam and the Waainek Water Treatment Works. At the dam, most YWPs were excited to see how catchment processes support, collect and retain water within a dam. Enthusiastic Process Controllers at the Waainek WTW on the outskirts of Grahamstown meticulously conducted YWPs around the WTW, explaining every step of the treatment process. Indeed, building a sustainable, capable and competent workforce is a task that we must all take seriously. This is exactly what the YWP-EC is doing. The Driftsands Waste Water Treatment Works Technical Tour marked the first event organised by the Port Elizabeth node of the Eastern Cape Young Water Professionals. On Thursday, 11 December 2014, a total of 37 water professionals from Port Elizabeth, and surrounding towns of Grahamstown and East London met at the WWTW to attend the event presented by Aurecon’s water engineer Mr Chris Little. The tour began with a brief introduction of the EC YWP chapter by Vice Chair Ms Nosiphiwe Ngqwala followed by a health and safety moment from Superintendent of the works, Mr Selby Thabethe. Mr Chris Little then provided a detailed presentation and guided tour of the practical and operational aspects of the WWTW. Participants were able to ask questions or provide comments throughout the presentation, making the tour interactive and informative. The tour concluded with a vote of thanks to our presenters, sponsors and participants by EC YWP Treasurer Mr Dan Abraham. After the technical tour, most of the participants met at a local restaurant (Como Café) for an opportunity to network. The participants were able to share knowledge, experiences and ideas relevant to the water sector with each other. One of major points of discussion was the issue of adequate and appropriate mentoring of young professionals at the organisations of work. The EC-YWP and the Water Youth Network organised a workshop on bridging the inter-generational gap in the water sector. The workshop was organised during the Gender, Water and Development conference in East London held between 3-7 November, 2014. Eiman Karar from the Water Research Commission gave the keynote presentation, sharing her personal experience in the water sector with YWPs. She challenged young professionals to be bold and actively participate in the water sector, and to come up with fresh insights and ideas which can lead to better water resource management. There were also presentations from WaterAid and the Stockholm International Water Institute, giving participants a broader view of the variety of learnership programmes on offer and a feel for the “soft” power of youth networks. On 3 September 2014, YWPs in Grahamstown in collaboration with the Honours students in the Geography Department at Rhodes University and other environmental groups, walked to the Fairview spring on the outskirt of Grahamstown. The spring has become an important alternative drinking water source for people living in and around Grahamstown. The purpose of this walk was to get like-minded groups together to raise awareness on the importance of the spring. In celebration of the 24th annual World Water Week, on 2 September 2014, the Eastern Cape Young Water Professionals in collaboration with the Khulumani-Water for Dignity, Kowie Catchment Campaign and WESSA organized a river walk for high school learners in Grahamstown. The purpose of the event was to raise awareness among the learners on how human activities in a river catchment influence the river health. 14 learners participated in this event. Presentation and practical water quality testing and river health sampling with invertebrate were undertaken with the learners. On the 2nd of August Rhodes University hosted the launch of the Eastern Cape provincial chapter of the Young Water Professionals. As the Eastern Cape hosts world class and highly motivated young water professionals, it was evident that we needed to get a provincial chapter up and running, said Louise Bryson. The launch of the Eastern Cape Chapter attracted over 80 young water professionals who were eager to become involved in their community and to connect with the broader community of professionals in the water sector. The day’s event started off on a very strong footing with Prof. Tally Palmer, the director of the Unilever Centre for Environmental Water Quality at Rhodes, delivery a really thought provoking keynote address about water, governance, complexity and democracy. Prof Tally shared her personal experience of being a young water professional and her involvement in the drafting of the SA Water policy and Act. Prof Tally’s personal experience inspired confidence in all the Young Water professionals at the launch and at the end of her keynote address, the atmosphere was already charged with people ready and eager to make a difference in the Eastern Cape water sector. With the momemntum and energy still still high, a dialogue session was introduced by Nelson Odume and co-facilited by other professionals in which participants were made to discuss the challenges in the Eastern Cape water sector and to consider ways of addressing these challenges. Following the dialogue session Prudence Mambo, a PhD student from the Environmental Biotechnology Research Unit (EBRU) at Rhodes University, presented on biological treatment of waste water, which sparked a huge conversation about technology uptake and implementation. Participants were then given some fresh air and the opportunity to see water services in action as they competed in a water service delivery game, facilitated by Esther Shaylor, of Amanz’ Abantu Services. This provided an interesting perspective of water services, and highlighted the intricacies involved in providing water to different areas. Participants were then treated to lunch before the election process for the new committee. After elections, the day ended with pizza, drinks and a fantastic networking game arranged by Dan Abraham from Aurecon. The new EC-YWP committee members are enthusiastic and eager to make a difference. The committee will strive to create an enabling environment for networking, connecting young professionals with more experienced sector practitioners and facilitating events and community-engagements and activities in the Eastern Cape. To ensure that the EC has a vibrant YWP, the nodal approach has been adopted and this is exciting because it will drive activities at nodal levels. Three nodes have already been established in Port Elizabeth, East London and Grahamstown/Alice. The nodes are centres of activities that will drive the vision of the YWP in their surrounding communities and neighbouring towns and cities. The committee will be hosting a range of events throughout the year in order to keep the momentum rolling and YWPs involved.